Import invoices daily, weekly, hourly based on scheduling mechanism. Share Adaptor with other users in your subscription with lots of security features. You can choose any other gateway which is supported by HubBroker as a source system and it will be selected as a source gateway while configuring adaptor. 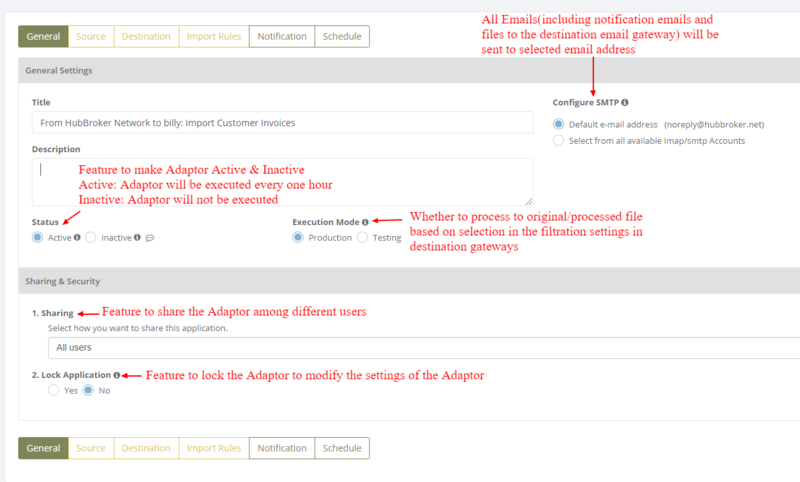 'Matched customers with HubBroker network' tab and 'Help me activate customers automatically' button will be displayed if you have choose 'From HubBroker Network' gateway as a source gateway.